Home » Nootropics » Qualia Review: Does this Energy Booster and Nootropic Live Up to Its Hype? Qualia is an energy boosting supplement designed to ensure that the user has the much-needed energy after a short while of taking it. This is also a nootropic designed to promote and enhance brain functionality as well provide energy boosts when the need arises. Many people equate nootropics with smart drugs thus leaving them an impression it is illegal. Smart drugs are usually prescription drugs and are only illegal if you use them without a doctor’s prescription. Nootropics, on the other hand, are dietary supplements that act to enhance the brain’s functions and can be safely taken as long as you follow the manufacturer’s guidelines. Qualia is a nootropic supplement created by Neurohacker Collective that does amazing work in the body. Let’s go figure in this Qualia review how it’s made, what the ingredients are and what are the possible side effects this nootropic may induce. Qualia is an energy boosting supplement designed to ensure that the user has the much-needed energy after a short while of taking it. Also, the supplement is also a nootropic designed to promote and enhance brain functionality as well provide energy boosts when the need arise. 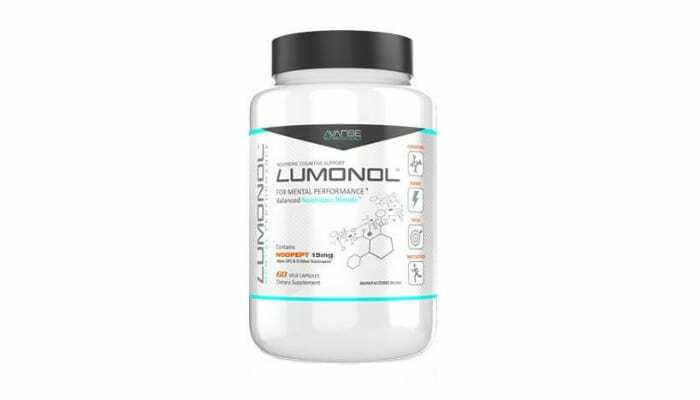 This nootropic supplement guarantees that you receive all the essential elements including the needed nutritional value to ensure that the brain develops and work as it is required. However, the product does not offer a trial period or free samples that potential users can use before making a full purchase. They are depriving the users the chance to deduce and see the essentiality and effectiveness of the supplement. Qualia Step One: Ingredients of Step one are mostly high in caffeine. · Artichoke Leaf Extract 500mg – This is a nootropic that has been popularized when used in combination with the Forskolin nootropic, which is also included in the Qualia step one stack. Artichoke extract is most well-known for improving various elements of the memory. It helps to especially improve overall memory recall. Artichoke Extract is also good for the liver in proper dosages and can improve overall focus and energy when combined with Forskolin. · Coleus Forskohlii (20% Forskolin) 10mg – The well-known sister to Artichoke extract that helps to potentiate the overall effects. You may remember the benefits of this type of addition and long-term potentiation from the CILTEP stack. The difference here is that it is only a part of this monster stack. Forskolin also helps overall memory and especially memory formulation. It helps to retain new information more easily. · Rhodiola Rosea 300mg – Rhodiola Rosea is a natural nootropic and adaptogen. It has been shown to improve mental performance specifically to concentration and focus. Rhodiola Rosea helps improve energy while reducing stress and boosting the overall mood. It is one of my favorite natural nootropics. · DL-Phenylalanine 300mg – This is an essential amino acid that the body is unable to produce naturally on its own. It helps to make proteins in the body and must be either supplemented or consumed through various foods. This is needed for normal functioning of the central nervous system and is said to help reduce depression and in some cases, even pain. Phenylalanine has many positive effects that include reducing anxiety, boosting overall mood, increasing focus and concentration, and improving motivation. · Centrophenoxine 250mg – It is known for noticeably improving overall memory, enhancing cognitive functioning, reducing cognitive decline, improving mood and motivation, as well as focus and concentration. Centrophenoxine is one of the best-known choline supplements and stacks very well with other nootropic supplements. · N-Acetyl-L-Tyrosine (NALT) 250mg – N-Acetyl-L-Tyrosine (NALT) is like the journeyman of nootropic supplements. It is known for its ability to enhance focus and boost overall motivation. NALT is also known for enhancing cognitive functioning, especially when under stress. · Pure Energy (Pterostilbene bound to caffeine) 209mg – It is a compound that binds caffeine with the powerful antioxidant Pterostilbene. The Pterostilbene slows the absorption of the caffeine which helps to extend its half – life. 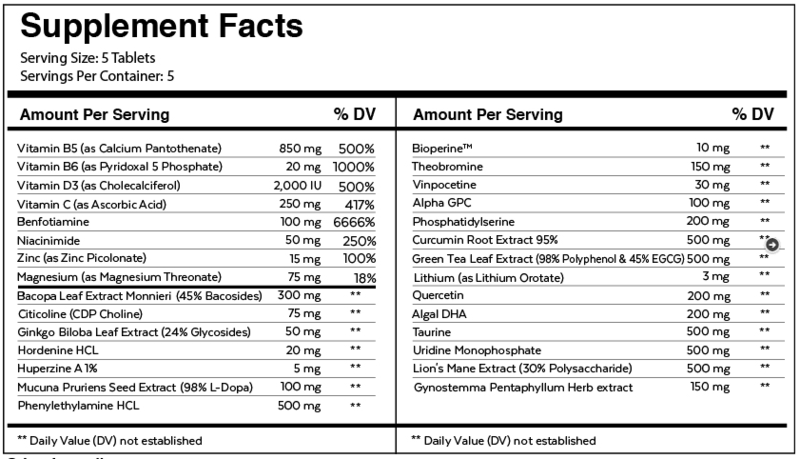 · L – Theanine 200mg – L – Theanine is an absolute must-have to nearly any type of nootropic stack. It reacts and works with caffeine better than any other nootropic supplement. L-Theanine takes away the jitters and the crash and helps to improve the overall focus that you feel from it. · Noopept 30mg – Noopept helps with memory recall and retention, as well as focus and concentration. It works very synergistically well with the right combination of another nootropic to help potentiate their overall effects. Noopept is probably the most common nootropic that I recommend adding to the nootropic stacks of readers who ask me to help them customize their own. · DHEA 20mg – DHEA is another nootropic supplement that is commonly stacked with other nootropic compounds. · BioPQQ 10mg – This is a molecule that has potent antioxidant and neuroprotective effects on the brain. It helps to increase the production of mitochondria. It is known for improving sleep and reducing overall stress. First, we have some of our essential vitamins. These include the following: Vitamin B5, B6, D3, and C. These are considered some of the essential “neuro – vitamins” that will work synergistically well with the nootropic ingredients as well as provide overall health and brain benefits. Bacopa Monnieri (45% Bacosides) 300mg – Bacopa is one of the most commonly used nootropics and considered by many to be one of the best natural nootropics you can consume. It has been proven to help boost memory, cognitive functioning, and enhance overall brain health. Bacopa also works synergistically well with other nootropic ingredients to help potentiate their effects. It has been shown to boost focus and concentration as well. Cognizin (Citicoline) 100mg – CDP-choline is also a common and necessary addition to the most any nootropic While Centrophenoxine provides choline in Step One, the citicoline in Step Two is essential to work synergistically with the Step Two stack. Citicoline is essential for its neuroprotective capabilities and it also helps to reduce overall cognitive decline. It is also known for helping to enhance learning, memory, and overall attention span. Ginkgo Biloba Leaf Extract 50mg – Many of you may have already heard about Ginkgo as it is a natural adaptogen that has been used for centuries. It is known for improving overall memory, boosting attention, and helps delay the brain's aging process. Gingko is known for delaying cognitive decline while improving overall short-term memory. It also works synergistically with the other ingredients found in the nootropic stack. Hordenine HCL 20mg – Hordenine is not one of the more common nootropic compounds found in many pre-formulated nootropic stacks. It can be found in barley grass. Hordenine helps to potentiate PEA, otherwise known as Phenylethylamine, a natural chemical found in the body that is also found as a nootropic compound. PEA is known to help boost mood and overall cognitive enhancement. It works synergistically with the other ingredients found in the Step Two stack, helping to potentiate their overall effects. Huperzine A 50mg – Huperzine A is also considered as one of the best natural nootropics you can consume. It has many cognitive benefits including improvements to overall memory. Huperzine A has even been used to combat certain neurological ailments, such as Alzheimer's disease. It has also been used to help those with learning deficiencies and memory loss Huperzine helps to increase overall acetylcholine levels in the brain and the compound can help improve mental clarity, boost concentration, and help a person to process data more efficiently. Mucuna Pruriens (98% L-Dopa) – This was literally the most intriguing nootropic compound that I noticed right away in the Step Two formula. Like Noopept and Centrophenoxine, I love the effects that I have personally experienced when using Mucuna Pruriens or sometimes referred to as L-Dopa. Mucuna Pruriens is actually a natural It helps to enhance overall mood, even reduce symptoms of depression and enhances overall focus. It also helps to boost overall motivation and works very synergistically well with other nootropics. L – Dopa helps to regulate levels of dopamine and serotonin in the brain. EDITORS TIP: For better outcome from a nootropic similar to this, you can visit our recommended product Masterbrain AM. 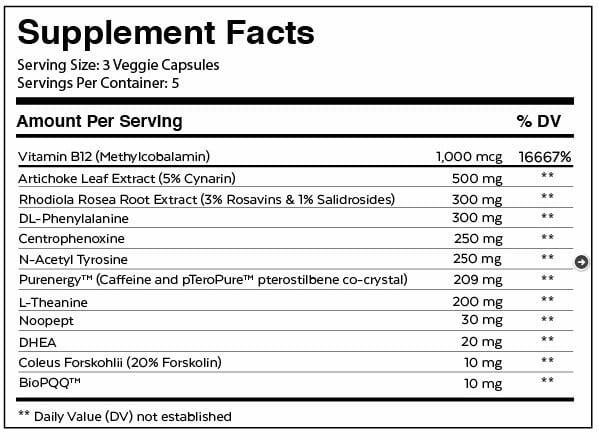 Some of the possible side effects resulting from the use of this specific supplement may include caffeine addiction from the high amounts of caffeine in the supplement. “Hi, I have tried most of the ingredients in Qualia at one time or another, looking to find the right stack that works for me. It improves an individual’s cognitive abilities by using naturally occurring and effective ingredients in the process. It ensures that you have decreased fat as a result of the increased metabolism which aids in weight loss or in gaining lean muscles. Promotes individual levels of physical capabilities and enhances endurance levels giving you space to over exert and strain while engaging in physical exercise. This is aimed at improving individual body build and acquiring athlete like bodies. Promotes the functioning of the central nervous system or the CNS by enhancing neural networks, immunity systems and ensuring that individual hormones are regulated at all times. There are no possible side effects that are associated with using this specific nootropic, energy boosting and muscle enhancement formula, except that you might become highly addictive to caffeine. Qualia is worth the little extra coin if you are truly looking for a pre-formulated nootropic stack that noticeably works. You can buy Qualia from their official website. Whether you choose to subscribe to Qualia or make a one-time purchase of Qualia, make sure to use our promo code of “focus now” to receive 10% OFF your entire order. Keep in mind that it might be worth signing up for the subscription instead of the one – time purchase. Why? Because you can cancel the subscription at any time and you would be paying $129.00 instead of $149.00, plus an exclusive discount. I understand both of those prices aren't “cheap” but with the 10% OFF you might as well save money where you can. However, there are other alternatives with proven track records out there. Continue reading below and also check our recommended product just for comparison purposes. We have reviewed the best brain enhancement supplements that are available in the market to make it easier for you to find safe and effective products that can provide the most efficient benefits. The ranking is based on critical factors like improving memory by coping up with memory loss, boosting overall concentration power and improve overall mental functioning. Improving an individual experience by enhancing brain functionality and having an energy boost is one of the best ways to ensure you remain at optimum levels to face the pressure and grind associated with your everyday life. However, being careful with the supplements you use and acquiring pertinent information before use is always advised. Based on the presence of quality ingredients and the overall improved mental health results, there are other nootropics and energy booster that you can also check before coming up with an informed decision. Also check out our recommended product for best results. Let’s take a look and group the ingredients found in Qualia and their short clinical researches. Research: These are psychoactive and neuroactive chemicals that play key roles in modulating receptor sites, synaptic enzymes, membrane structures, cerebral perfusion, biogenic processes, neuroendocrine regulation and more. Research: These are the building blocks for key neurotransmitters and hormones, and agents that are part of the processes of cellular energy production, osmoregulation, signaling, antioxidation, neurogenesis, and neuroprotection. Research: These are key limiting factor vitamins in specifically activated forms required for major neuroregulatory and neurodevelopmental processes. Research: These herbal adaptogens are concentrating active compounds while maintaining complex synergistic co-factors – supporting Adrenal/ HPA regulation, Long Term Potentiation, AMPK activation, neurogenesis, catecholamine production, tissue regeneration, and many regulatory functions. Research: These are limiting factor minerals required for major neurochemical regulatory processes in forms that are bioavailable and can cross the blood-brain barrier. Research: These are synergist compounds that support nutrient transport and utilization, cytokine and eicosanoid modulation, neurotrophin factors, redox reactions, cholesterol regulation, and much more. There are really no known side effects reported about this product that will greatly affect your health and lifestyle in negative condition except the fact of the immunity to caffeine. But it is always best to consult an expert before deciding to take this product. How many capsules of Qualia supplement should an individual take in a single dose in order to maximize the final results? You are advised to take at least two capsules each day and a maximum of four depending on your body size and weight. Take the supplement only once in the morning before having your meals let say about 20-30 minutes prior, also ensure that you take lots of water and no supplement in the afternoon so as not to disrupt individual sleeping patterns. We can't comment on the merits of the specific supplements you are taking and any possible interactions. We can generally say that Qualia should be fine with other general dietary supplements that you have already taken and have found to be good for you if they are taken at separate times. In general, we recommend empowered responsibility and conducting your own deep research regarding chemistry and interactions, and also finding good practitioners who can support you with additional customized insight. Is there a sample of Qualia? At this time, we do not offer a sample bottle of Qualia, however, the manufacturer invites you to try the full version of Qualia with the assurance of our 100% in 100 Days Money Back Guarantee. That seems to be hassle free. You do not have to return anything to them. Interesting marketing indeed. According to the Neurohacker Collective website, Qualia is to be taken in two steps as a total of nine pills – three pills from Step One bottle and six pills from the Step Two bottle, always maintaining a 1:2 ratio. It did nothing for me but it also did not harm me. I am a 58 year old man in decent condition. Workout 3 days a week with weights. I do not think that it is a bad product but maybe just not for my chemistry. It’s worth a try but no action for me.